In my opinion this was always going to jeopardize the future of 3D film production, How can you initially show good quality real 3D films that audiences get excited about like “The Polar Express”, “Beowulf” and “Avatar”. These films have a justifiable extra charge for these screenings, but to then charge the same extra cost for low quality 2D to what I call 2.5D conversion that are nowhere near the immersive quality of a properly produced 3D film is a disgrace. Morally this is wrong and unethical, as the paying customer has no idea that they are not in fact watching a true 3D presentation, but a fake, and so sadly in the case of all these conversions like “Clash of the Titans” these films generally can look like card board cut-outs instead of the rounded forms of a true 3D image, This is bound to be a disappointing experience for the viewer, and so of course they will feel they no longer like 3D. 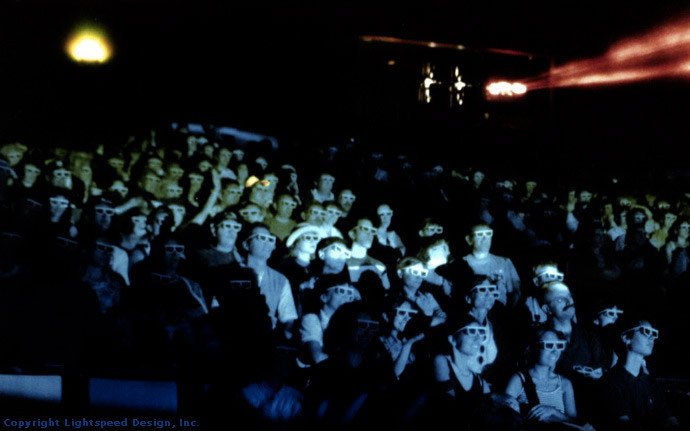 Or even worse that they may feel that the initial wonder they felt when they first saw a 3D film, is not having quite the same effect, they may feel that they have now lost that immersive feeling that proper 3D can give them. Sadly they don’t understand why perhaps this is happening. Since “The Polar Express” there have been 56 productions made in proper 3D and unfortunately there have been 27 conversions done by computer manipulation. What is real and what is fake? There is a site on the internet that recognizes the problems faced by cinema goers and the new Blu-ray 3D releases, this is realorfake3d.com. People need to have the confidence when spending there hard earned cash that the film there watching at the cinema or buying on a Blu-ray disk is in fact a true 3D film and not a fake. So why is a film that’s properly photographed in 3D better than a conversion? Well, we see with 2 eyes that provide 3D stereoscopic vision throughout our lives, the 2 lenses of a stereoscopic camera rig recreates this depth perception when projected onto the flat 2D surface of the cinema screen, a 3D image if filmed properly can be a thing of great beauty and become a pleasant and immersive experience without headaches or Nausea. On the other hand a conversion is trying to falsely recreate from the 2D image a second viewpoint to obtain it’s so called 3D, this currently can not be done anywhere near the quality of a proper 3D image created by a 2 lens 3D camera and a professional 3D crew. These converted films have lots of optical errors and these errors can indeed give the viewer a headache and feel nausea. Damage is being done to the 3D industry due to a lot of inexperienced people making wrong decisions, and uninformed comment by film critics. For to long 3D has been seen as a gimmick or a fad, It’s about time we start treating 3D as the art form that it deserves, don’t forget that in Victorian times 3D stereoscopic viewers were the television of the day for more that 30 years, and Victorians certainly did not consider it a gimmick. A lot has been said about the extra time and costs that are associated with a 3D film production. Although 3D is more expensive to produce we need to realize that any department on a film set needs time and freedom to do there job in the most creative way they can. Producers would never think of replacing the wonderful lighting and camera shots that are created by the Director of Photography but they are quite willing to short circuit the 3D production process by using these terrible conversions. Most of the delays in 3D production are caused by constantly improving camera rigs and crews that are not properly trained in setting the shot. 3D filming is more than just putting 2 camera lenses side by side and shooting. The stereographer has to consider factors like the distance from lens to the nearest object, then nearest object to the background, the best perspective camera angle to maximize the 3D effect, focusing, camera movement and set design. All have there place in creating that special 3D shot. When I am working on a set, the 3D department is rarely holding up the shoot. Rather, we are mostly waiting for other departments to be ready. So 3D does not have to be slowing down the production. Part of the problem currently faced by producers is that there are not enough 3D crews available, this I am sure has a bearing on the decision process of whether to shoot real 3D or convert. Sadly with the advent of the 3D ready TVs the same sort of confusion and ignorance is going to plague the purchasers of Blu-ray 3D discs. At the moment the purchaser who visits sites like Amazon are presented with lots of 3D content on Blu-ray, but has little or no idea what are the old anaglyph films which use old school Red/Blue glasses or what are the latest 3D disks that will work on there brand new shiny 3D Ready TV with shutter or Polarized glasses, Sellers need to separate the listings for both types of 3D disks so that customers know what they are buying, and not have to search through each individual title in order to find this vital information. All of this confusion could jeopardize the take up of 3D in the home. Studios and manufacturers of 3D TVs and Blu-Ray 3D players are also having a bad influence on the future of 3D in the home. 5 TV manufacturers have released fantastic TVs with the latest 3D technology that really works, so what do the film studios do? They release titles that are tied in with certain brands of 3D TV. So for instance “Ice Age 3” and “Coraline”, 2 great 3D films, are only available if you purchase a Panasonic 3D TV and 3D Blu-ray player. I brought a Samsung 3D TV, so I was able to buy the “Monsters vs. Aliens” disc. I am amazed that with all this new 3D equipment available on the shelves that these industry decision makers are making it very hard for early adopters of this new format to get there hands on 3D content. So we are in the terrible position of being able to currently only have the choice of 2 titles directly of the shelf without them being tied to a certain brand of 3D equipment. 3D in the home can only be driven by readily available content and so it’s madness to restrict it by greedy underhand practices like this. The most successful 3D film so far is “Avatar” currently only available in 2D until a possible 3D release in 2011. This film alone would drive the sale of 3D adoption in the home. But it seems they want to either wait and see what the sales of 3D ready TVs are, or are they thinking about the sales initially of the 2D version with a possible second sale when the 3D version is made available? All of these new Blu-ray 3D disks will play in 2D on a any normal Blu-ray player if you don’t have a 3D ready system. So there is no need for a double 2D/3D release. With all the above confusion and bad practices in the 3D industry, we need to get everything on a more fair and equitable ground so that we don’t kill 3D before it has a chance to get established. Here’s to common sense. 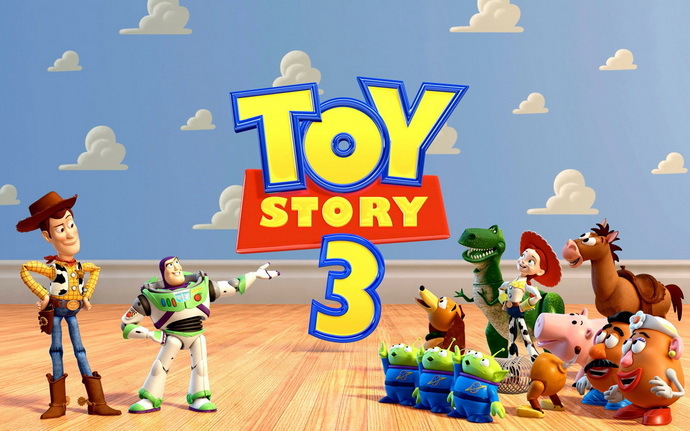 Toy Story 3 will be the only new 3D movie for June, but in July we are going to get three new titles, two of which are most likely a 2D to 3D conversions, so I’m not going to get too high expectations about the 3D effects, not the movies themselves. These are The Last Airbender coming on July 2nd and Cats & Dogs 3: The Revenge of Kitty Galore scheduled for July 30th, the third one is a true stereo 3D movie and not a conversion – Despicable Me. And to tell you the truth I do have quite high hopes for Despicable Me to be a really good movie to enjoy as the plot seems quite fun from the trailers I’ve seen so far, but we’ll have to see on July 9th.